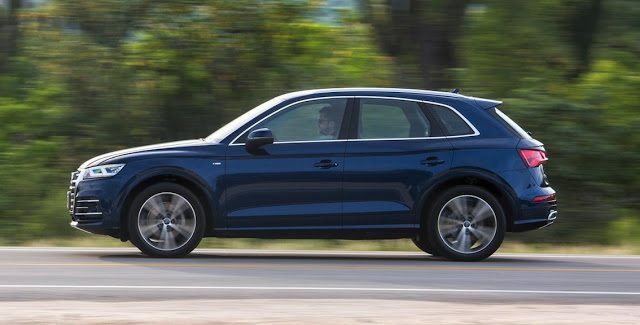 The Audi Q5 broke its own monthly sales record with 1254 Canadian sales in April 2017. That was 30% more sales than the next-best-selling premium utility vehicle, the Lexus RX, managed last month. For the Q5, April’s exceptional performance drove Audi to near BMW levels of output. 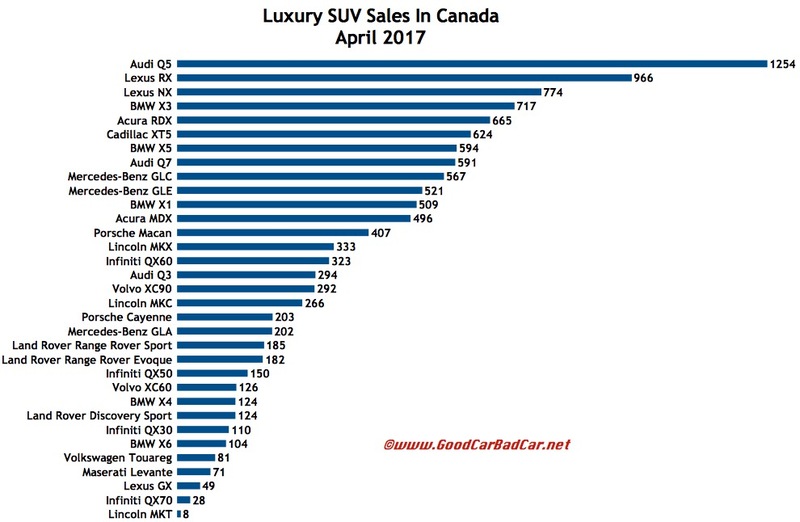 Audi trailed BMW by only 20 sales overall in the race to be Canada’s second-best-selling premium brand. The Mercedes-Benz C-Class, a car of all things, leads Canadian premium auto sales in total sales. Mercedes-Benz GLC and GLS sales are rising. You can click any model name in the tables below to find historical monthly and yearly Canadian auto sales data. You can also select a make and model at GCBC’s Sales Stats page. These tables are sortable, so you can rank luxury SUVs and crossovers any which way you like. Mobile users can now thumb across tables for full-width access. Suggestions on how GCBC should break down segments can be passed on through the Contact page. GCBC isn’t here to break down segments, an impossible task for any group, but to display sales data for the sake of comparison. The more ways sales data can be displayed, the better. 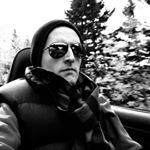 This explains you’ll see the XC70 listed with luxury cars as well as with SUVs and crossovers and the Touareg with luxury SUVs and mainstream SUVs… because readers have wanted it both ways. You can always find the sales results for EVERY vehicle and form your own competitive sets by using the All Vehicle Rankings posts.